Archive views of the Slate Industry - Page 2. 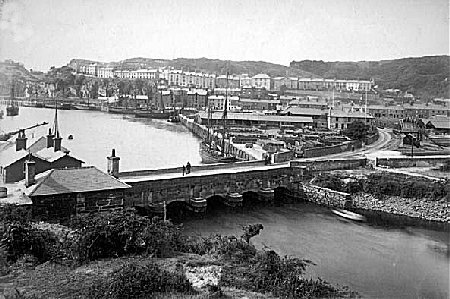 A view of Porthmadog harbour in about 1900. The bridge over the Afon Glaslyn is in the centre and beyond it are the extensive wharves where slate was transhipped onto sailing ships. The narrow gauge Ffestiniog Railway had a minerals branch which passed over the bridge from Harbour station and can be seen curving away to the wharves on the right of the photo. 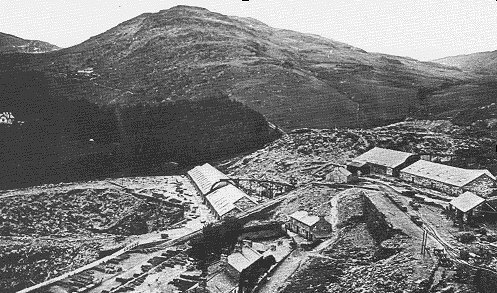 Llechwedd Quarry in Blaenau Ffestiniog in about 1900. The two mills are both powered by centrally positioned waterwheels. The run off from the top one powering the lower. The row of cottages in the centre now forms part of the award winning tourist attraction. 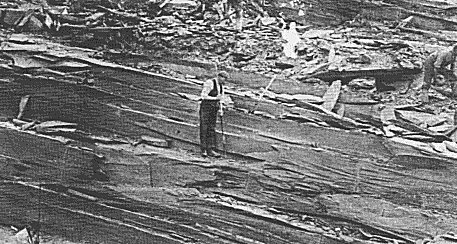 Before the use of compressed air drills, the tool used to drill holes in rock was a Jwmpah, this consisted of a rod with a weight at the top. The rod was dropped and twisted at the same time, needless to say progress was painfully slow. Inside a dressing shed. The man in the centre is trimming the slates to size using a belt driven Greaves rotary dresser. Some of these machines are still in use today. His partner on the right is splitting the slates. 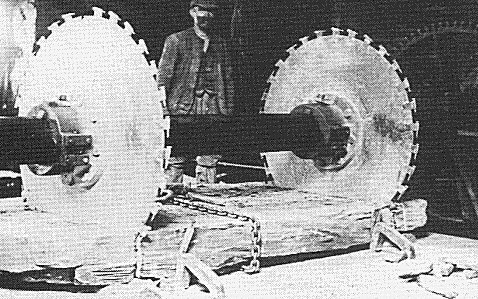 The Hunter saw was a fearsome machine used to saw blocks of slate. The saw teeth were able to be replaced individually. 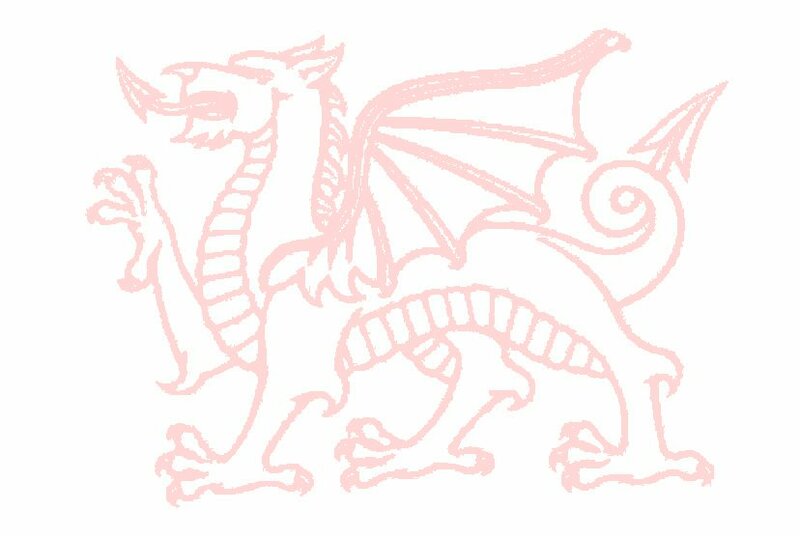 Such machines added greatly to the dangers of dust inhalation. 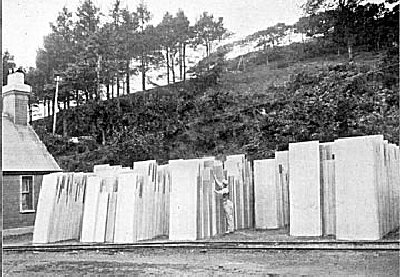 Parc Quarry near Croesor specialised in the production of slate slabs. Here a consignment is seen stacked ready for despatch to Porthmadog by the Croesor Tramway.